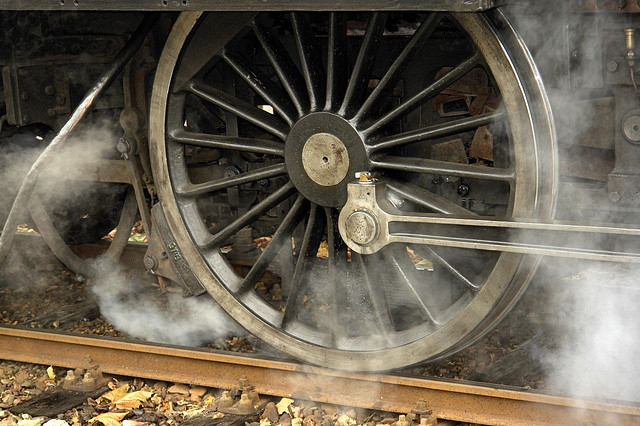 Wheels of a steam engine; photo by Josef F. Stuefer (josef.stuefer) on Flickr (noncommercial use permitted with attribution / no derivative works). A unique display of HO model 'hopper cars' (from the collection of Dr. Kenneth J. Johnson of Bismarck, ND). The idea for the collection arose out of the grain car shortage in the Midwest and upon seeing different hopper cars in his travels. Dr. Johnson would photograph them, record all the actual identification information and then model a reproduction. In his collection there are more than 200 different 'hopper cars' representing the elevator companies that purchased them. A special collection of 'Timetables' which reflect many of the nations railroads at the peak of passenger service in the United States. An extensive collection of photographs from the camera of Ron V. Nixon (a longtime Northern Pacific dispatcher). The pictures feature all the different classes of Northern Pacific steam power, North Dakota scenes, and pictures from the Milwaukee Road, Great Northern, and Soo Line. Old rolling stock, and assorted railroad memorabilia. 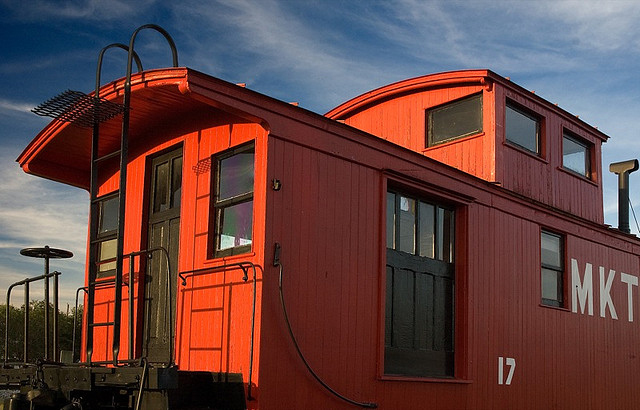 Old train caboose photo by Tom Haymes on Flickr (noncommercial use permitted with attribution / share alike).